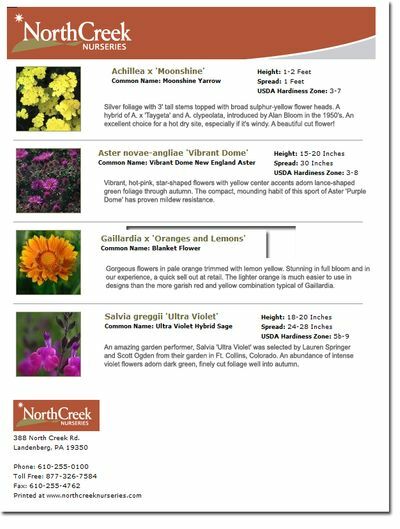 After viewing plants online, users can easily add items to their shopping list to bring into the garden center. Even though you may not be selling online, a shopping list (versus shopping cart) can help increase sales. Many of our horticulture customers have shopping lists for their nurseries. 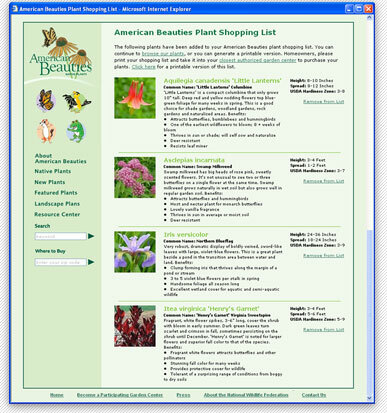 After viewing plants online, users can easily add items to their shopping list. They can then print the list in order to purchase your plants at designated shopping locations. As they are reviewing the plant database, they will have the ability to see companion plants and add them to the list. This can help increase the average sale. Please note that this feature requires the Clarity Console Plant Database Manager or Product Database Manager.